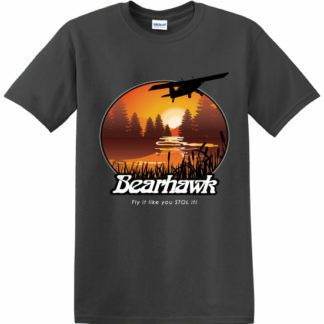 These denim Bearhawk shirts are popular in short sleeve and long sleeve options. 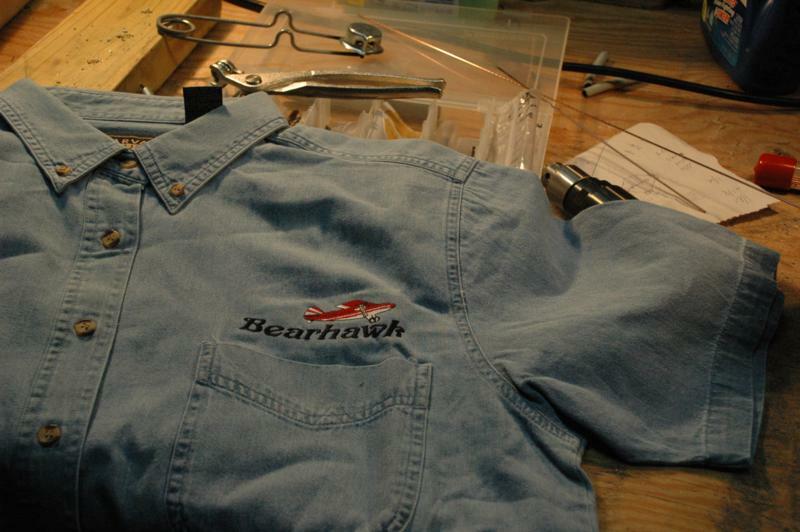 We have a ladies-specific variety in a few sizes. 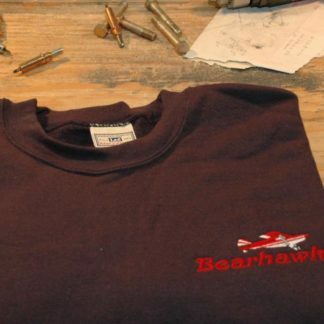 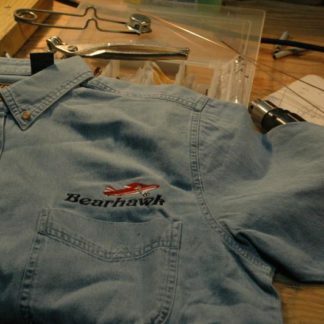 The Bearhawk logo and airplane are embroidered on the left front chest with a red and white airplane. Since the denim shirts come in small batches, we have some variation in the shade of blue. 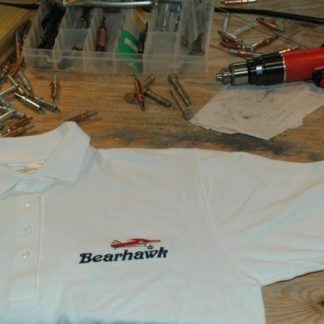 If you are particular about the shade you like, let us know and we can send a photo of your size and style.